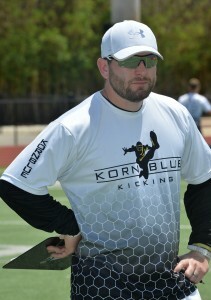 Kickers and punters in the DMV area have the opportunity to train with one of our best coaches on a year-round basis. Desi Cullen, a longtime Kornblue Kicking staff member who trained with Coach Kornblue throughout college, runs the DMV location. He offers small group and private training for specialists at all levels. 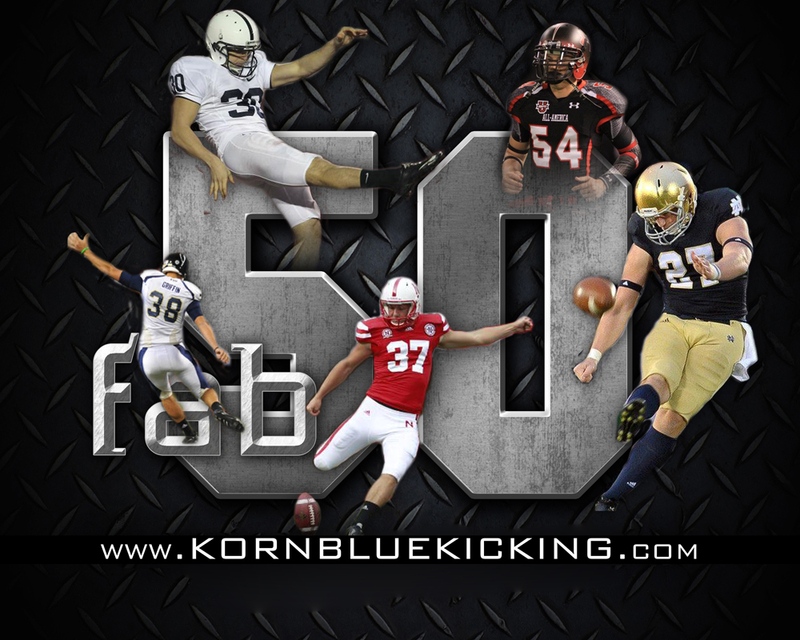 Additionally, Kornblue Kicking offers athletes the opportunity to be ranked as part of the Fab 50 National Ranking of Kickers, Punters, & Long Snappers. In order to be ranked, an athlete must attend at least one of our Fab 50 Camps in any one of 20+ locations. 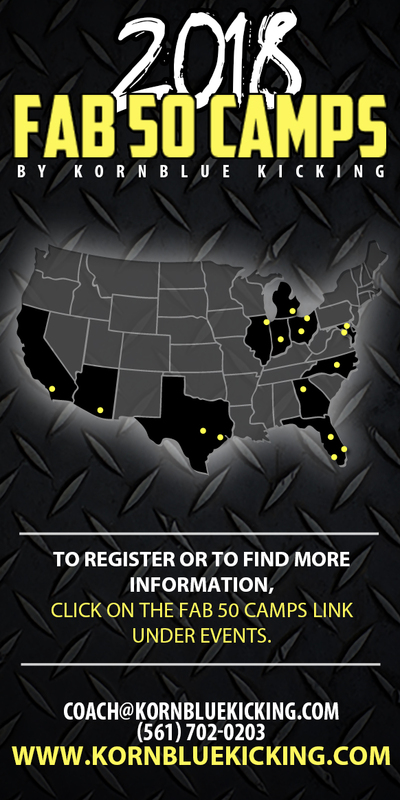 These events are instructional/exposure events offered in various locations throughout the country. CLICK HERE to get details & register for our next Virginia/DMV Fab 50 Camp. Contact Desi directly for information about training locations, times, and fees. His contact info is listed below. If you have any further questions, please contact Desi Cullen or Brandon Kornblue.